Create content that delivers value to people in your target market. And do it often. I’m constantly amused by the SEO (search engine optimization) industry—when not infuriated by stories of ripoffs, that is. Everyone was in an uproar when Google’s Panda update came on the scene. When Penguin arrived, it was another round of insanity as SEO firms and marketing consultants began realizing that many of the gimmicky tricks they had used to artificially boost clients’ search rankings began to fall off. And then there’s the endless speculation about which black and white animal Google will name their next update after… <sigh>. Ironically, nobody who was following our training was negatively affected by Google’s algorithm changes. Quite the opposite, many of our clients found themselves inexplicably rising in rankings for keywords they hadn’t targeted (more on that in a moment) and receiving even more traffic! And while keywords and keyword research are important, our clients and students have always heard from me that keyword research is only the beginning of your effort. You will never imagine all the keywords that people will use to find your content, but if you create valuable content in a conversational style, you will accidentally use more of the terms that people will search on than you could ever do on purpose. Our clients and students get some valuable coaching from us that helps them accomplish this, of course, but the foundation of the strategy is disarmingly simple. As social media has become more and more important, we’ve gained all sorts of new metrics about what content is and isn’t valuable to our audiences. But aside from making adjustments based upon that new feedback loop, the advent of social media has only served to prove the merits of our strategy. Meanwhile, SEO experts all over the world are discovering that they must now scramble to figure out how to deliver value and engage audience members since Google’s ability to measure those factors has improved. 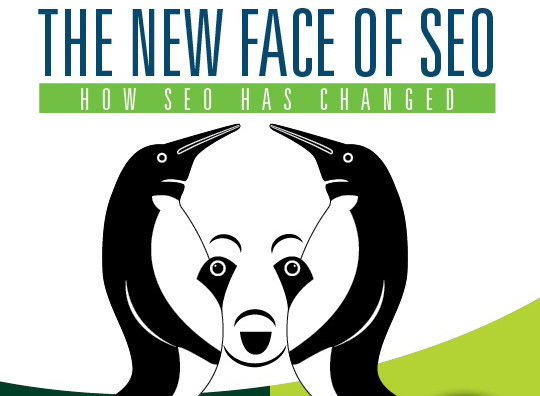 Today, I spotted a beautiful infographic put together by Fuzz One: The New Face of SEO: How SEO Has Changed. If you’ve been through our training, you’ll be amused as I was at how much energy they’re now recommending everyone to put into delivering value. Enjoy! The bottom line? While “SEO experts” scramble to adapt… everyone who has been delivering value by creating unique content that’s targeted to their desired audience can rest assured that your efforts will continue to be rewarded. Need better performance from your marketing? Contact us to learn more about our strategic marketing assessment.